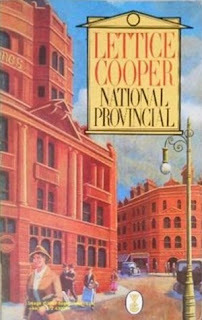 Just in time for the end of The 1938 Club, I finished National Provincial by Lettice Cooper. I'd read and loved The New House several years ago, so when I realized she'd published another book that fit the parameters, I put in an ILL request immediately. It arrived in time but took me much longer to finish than I expected. Set in the 1930s, this is an ambitious work about several families living in the fictional town of Aire, in Yorkshire. The book begins with a young woman named Mary Welburn, who's leaving her job as a journalist in London to start work at a smaller regional paper close to her childhood home, mostly so she can help with her disabled mother since her sister is about to get married. The reader begins to learn about the local residents of different classes and their intertwining lives. Mostly, the characters and setting are a microcosm of British society, examining the conflict between the classes and the ongoing changes in society, both social and political, against the backdrop of the late 1930s just before the war. As Mary begins reporting, we learn about some of the prominent families and events going on in the area. The Harding family used to be the wealthiest landowners, but one half the family lost money (but not status) after a business failure during the depression. The younger son, Stephen, took a job with a local factory owner, Mr. Ward, who was born poor but created a manufacturing empire by dint of hard work and determination. His wife would love nothing more than to be accepted by the local gentry, but sadly, she's viewed as a social climber and not the right sort. She and her husband try to keep a tight rein on the lives of their two young adult children. Mary befriends the daughter, Marjorie, who has left school and can't join the family business since it "wouldn't be ladylike." Her brother Leslie is at the local university, and befriends two of the younger professors and their wives, with mixed results. Mary's sister is engaged to marry a local cricket star, and she's close to her childless aunt and uncle. Uncle John is the union rep for Ward's clothing factory, and has a young protege, Tom, but the two begin to disagree about wages at the factory. Tom also has a shallow, self-absorbed girlfriend named Olive, who's embarrassed by her brother's girlfriend who works as a domestic for one of the Harding's sons. This book covers about a year and a half and follows real events, including the death of George V, the abdication of Edward VII, and the Italian invasion of Ethiopia. It's very interesting to read this knowing that Cooper didn't know exactly what was going to happen in Europe, though some of the characters definitely suspect that war is looming on the horizon. This was such a contrast to the other Cooper novel that I read, The New House, which took place entirely over one day with one family. National Provincial was more than 600 pages in my edition, and includes several extended families as well. (One of my few quibbles about the book is that there are so many characters I sometimes confused them, and there were a few stories that I found unresolved). Overally, I really enjoyed this book. I found the characters really well developed and realistic -- nobody is completely bad, and nobody is completely good either. I thought Cooper did a really good job showing both sides of various conflicts, especially some of the political struggles with the Union at Ward's clothing factory. As I read this, I couldn't help being reminded of some of my favorite British novels, including Elizabeth Gaskell's North and South; Winifred Holdby's South Riding; and even a little bit of Downton Abbey. It's a really great book and I'm so glad I read it! I'm really intrigued by the novels of Lettice Cooper and I've emailed Persephone books to suggest it as a reprint. I'm also going to order another of Cooper's novels called Fenny which was reprinted by Virago back in the 1980s. Has anyone else read anything by Lettice Cooper that you recommend? 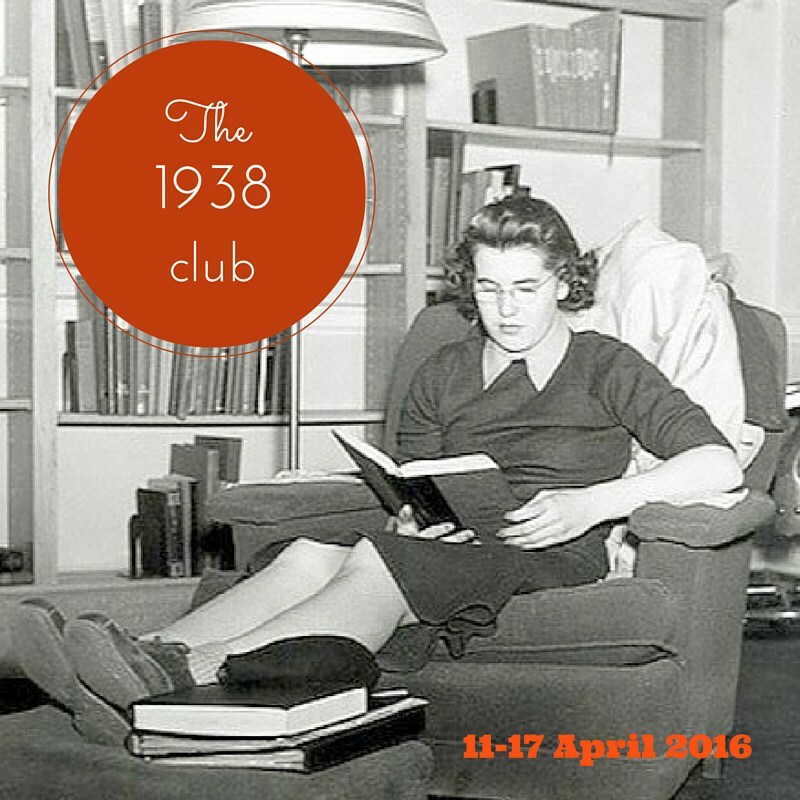 And how did everyone enjoy the 1938 Club! Thanks again to Simon and Karen for hosting, and to Cosy Books who mentioned National Provincial as a possible read. I was really struggling to find a book to read for The 1938 Club Readalong, hosted by Simon at Stuck in a Book and Karen at Kaggsy's Bookish Ramblings. It seemed I'd read all the best books already (including the P. G. Wodehouse classic The Code of the Woosters, which I finished just days before the readalong was announced). Nonetheless, the librarian in me refused to give up and I kept hunting; I finally and came up with not one but three books from 1938 that I wanted to read. The first book I read was The Baker's Daughter by D. E. Stevenson. I'm thrilled that Sourcebooks is reprinting her works, I just wish they would published more than two a year! 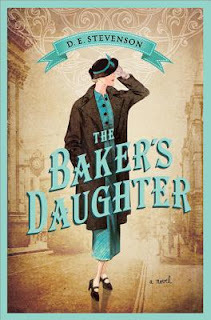 The Baker's Daughter just came out in January, (though I was actually able to get my hands on a different edition from ILL, as I just can't bear to buy another book right now). Anyway, alight charming book by Stevenson was just the thing. The setup: set in the 1930s, Sue Pringle is in her early 20s, living with her stepmother, younger brother, and curmudgeonly father, the baker, in a small town in Scotland. Her late mother's parents own a successful grocery shop and would love for Sue to come and live with them, as she doesn't much get along with her stepmother. One day, while visiting her grandmother at the shop, a customer has an unusual request -- not just groceries, but an actual cook. The customer is the Mrs. Darnay, wife of an artist who's just left glamorous London rented a cottage so he can paint in the wilds of Scotland. Sue, bored with her dull life, is intrigued by the idea of an artist, jumps at the chance and agrees to take on the job. After Mrs. Darnay suddenly does a runner back to London, Sue takes pity on Mr. Darnay, and stays on to keep house for him and keep him from starving, as he's so absorbed in his work. Naturally, one thing leads to another, and Sue finds herself falling in love with the reclusive artist. This was a quick, light read, and if you've read Miss Buncle's Book or any of Stevenson's other novels, you'll find few surprises here. It's a charming little novel with a fairly predictable outcome, though there were some interesting twists along the way. I liked the characters, especially Sue's grandparents, and I liked how Stevenson really seemed to appreciate Scotland, with nice descriptions of the scenery. She also gave the characters depth and color without making them too stereotypical. However, there was an attempt at one plot twist that I thought was really unnecessary, and a weird anti-Semitic remark that kind of came out of left field, with a reference to Hitler. I'm not sure if Stevenson was criticizing what was happening politically in the late 1930s, but it seemed really incongruous to the storyline. Also, the ending was kind of abrupt. But overall, it was a very enjoyable book and a perfect comfort read if you like middlebrow women's fiction from that time period. There are two other Stevenson reprints by Sourcebooks I haven't read yet, Celia's House and The Listening Valley. My library actually owns both of them but I'm rather torn, I don't know if I should read them now for free or read up more of my TBR shelves now and save those for later, since I can actually buy them from Sourcebooks later. Bloggers, have you read any other books by D. E. Stevenson? Which do you recommend? And are you enjoying The 1938 Club?